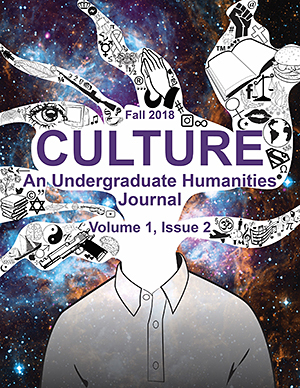 Culture is an undergraduate humanities/interdisciplinary peer-reviewed journal created by the efforts of the Humanities Student Association, and the Humanities department at York University. 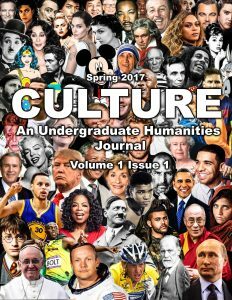 We welcome any papers from the humanities disciplines (humanities, philosophy, history, english, gender and sexuality studies, etc.) regarding culture in its many forms. Selected papers will be published in print and online. We define culture to include anything from Marxist critiques of celebrity, to comparative analysis of modern & postmodern art, to the critical analysis’ of life experiences. If it relates to a social sphere of interaction, we deem it to pertain to culture! In joining us we hope to provide not only an extra line on your CV, or a place to hone your skills, but also, an opportunity to impact the humanities community at York University.